When he was a senior in high school, Dr. Rawlings knew he wanted to work with people, but had no idea where life would lead him. “Then I went to see a chiropractor who helped me with some low back pain from rowing in college. In doing so, he also opened a window to my future. He taught me so much about the value of helping people with pretty much just your hands and your head.” From that point on he was driven to be a chiropractor. 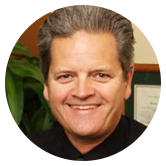 In practice since 1990, Dr. Rawlings knows becoming a chiropractor was one of the best decisions he ever made. He’s been happy to call Irvine home since 1990 and loves being close to the water. “We love the water, and spend most of our vacation time at lakes, with the river and the beach.” The family enjoys kayaking, wakeboarding, water skiing and tubing. In addition to keeping active, Dr. Rawlings and his family all get adjusted regularly, not because they’re in pain, but because regular chiropractic care allows them to experience better overall health! Dr. Rawlings, an alumnus of Orange Coast College and the crew, has been involved with the crew and their activities for years. “Since 1993, the men and women of the crew have been coming to see me as the crew chiropractor.” He also regularly gives health screenings and seminars on chiropractic and various safety topics both in the office and around Irvine. Experience better health and wellness with natural chiropractic care. Schedule an appointment with Dr. Rawlings, a Doctor of Chiropractic, today!